Musings for the potting shed...: Embrace your inner buzzard! 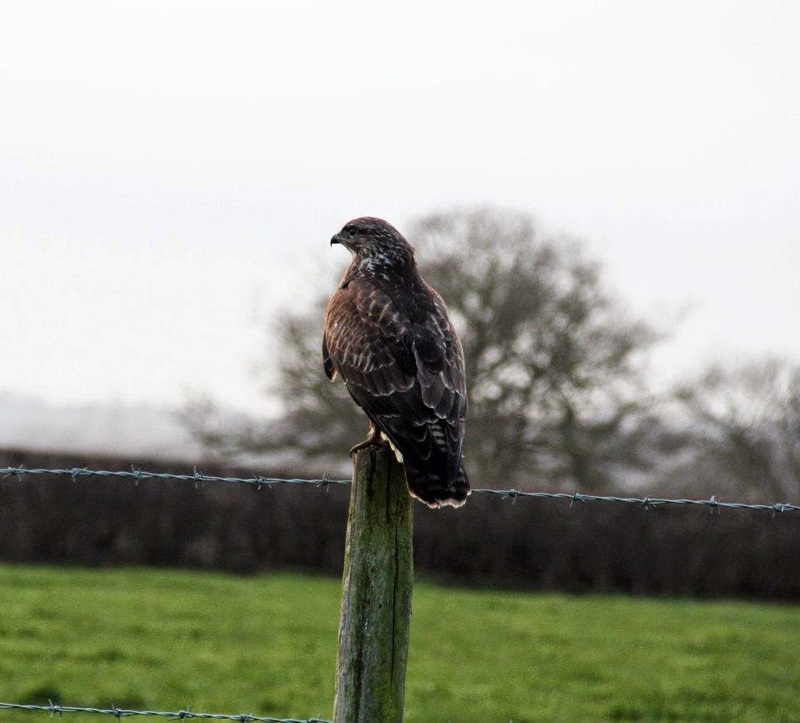 When I take a walk across the nearby fields with my kids, our Guide Dog puppy or all together, it's rare for us not to spot a buzzard or two. We see plenty of crows in gangs, sitting broodily up in the trees, cawing to each other. We see magpies, starlings, the occasional glimpse of a jay. There are lots of small birds (ones I find hard to identify) chirruping and flitting around the hedges, but my favourite birds to see are our local buzzards. "I think buzzards are under-appreciated"
Sometimes from the kitchen window I can see them circling on air thermals. Other times when we're walking the field margins one will alight from its hidden perch and glide over the fields - it's distinctive white markings flashing beneath it's brown wings - all elegance and menace. Occasionally I'll hear their plaintive "mew", but more often they're silent. Once when we emerged into a recently planted field from a small wooded copse we saw one proudly standing nearby, perhaps at a kill. My favourite recent encounter was on an early morning Sunday run, finding (perhaps the same bird) standing on some grass only 10ft from the pavement and watching me warily as I ran past. I think buzzards are under-appreciated. The clue's in the name - the common buzzard - and they don't elicit the same awe and reverence as other more powerful birds of pray, like the golden eagle. Within the last century, in much of the UK, their populations were decimated by gamekeepers who perceived them to be a threat to game birds (they weren't). Happily they've gradually been afforded more protection since the end of the second world war and are now fully protected by law. Their populations are thriving by comparison and their conservation status is no longer a concern. "..really we all want to be eagles"
This is a success story, and one not to take for granted. Buzzards are our most common bird of prey here in the UK, and much as I respect crows and magpies for their intelligence, I'm a sucker for the grace and beauty of raptors. The fact that they live alongside us makes them all the more remarkable in my mind. The thing is, really we all want to be eagles. Eagles have an almost sacred position in many of our cultures. Hitler's mountaintop fortress was the Eagle's Nest, not the Buzzard's Burrow. When I read the Bible, eagles keep getting mentioned. Film titles include them: "Where Eagles Dare". They even save the day in the Lord of the Rings. Common buzzards don't have the same status, they're nowhere near the same league. Much further down the pecking order. 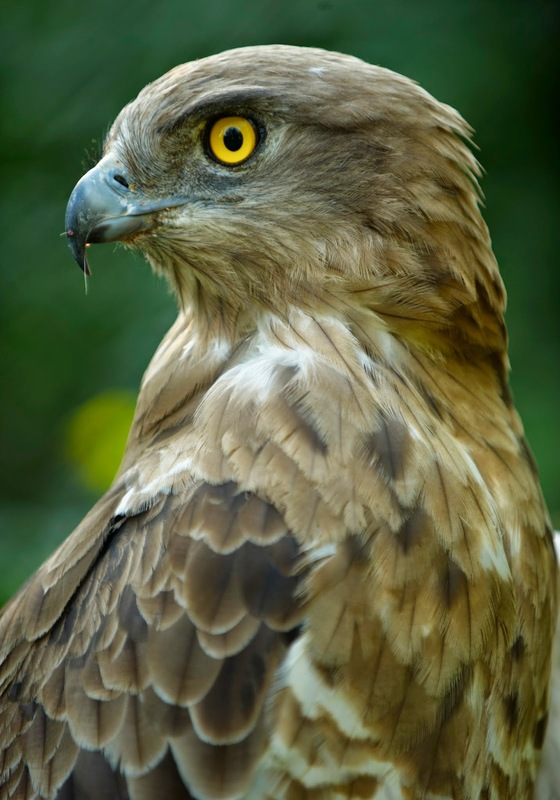 Yes, larger and rarer birds of prey are majestic and beautiful, all the more so for being found in remote habitats. But I like that buzzards deign to share our more "normal" environments, to live alongside us. We can enjoy their company and grace in the everyday, rather than relying on nature documentaries to reveal mountaintop eyries. In fact, to some, buzzards are known as the "tourist's eagle", being apparently often mistaken for eagles (although they are much smaller). abilities, skills, talents or dreams sometimes because they seem too common, too everyday. "..better to start soaring as a buzzard than grounding our dreams"
Are we comparing ourselves to Golden Eagles - people with seemingly grander or more developed abilities than our own? Sometimes comparison can cause us to feel sorry for ourselves or even give up. But there is a beauty in embracing the everyday. Golden Eagles are rare, and whilst we shouldn't limit our aspirations, it's ok if our skills, achievements or daily realities are distinctly buzzard-like, at least to begin with. 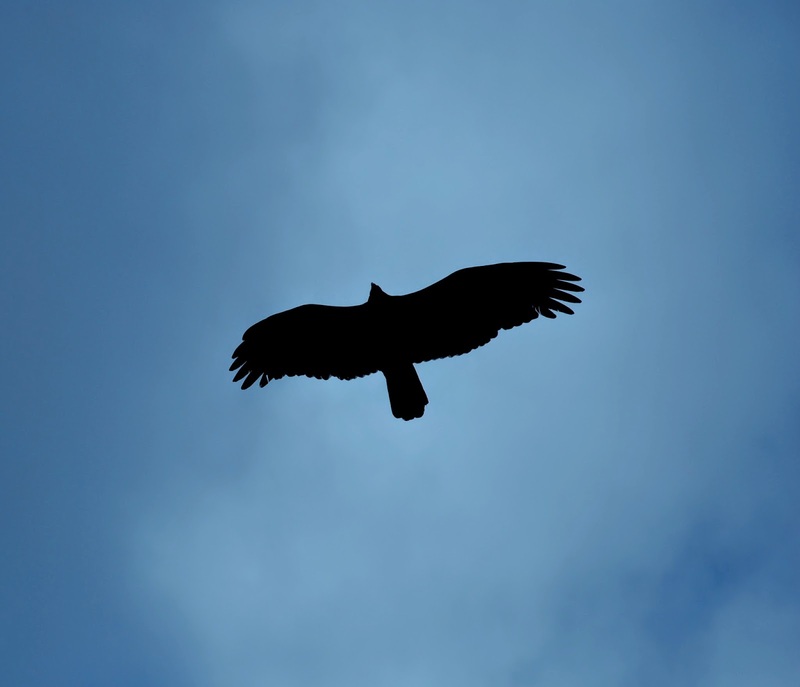 Maybe, over time we can grow from buzzards into eagles (metaphorically), but better to start soaring as a buzzard than grounding our dreams, clipping our own wings, until we reach the mountaintops. You've got to start somewhere, so maybe it's time for you to embrace your inner buzzard!